The CRM Tip of the Day is a new site where a quick tip will be published every weekday for CRM 2013 (primarily). I have just joined the CRM Tip of the Day crew and will be posting regularly on the site. There are currently 5 regular contributors plus others on occasion. You can get the RSS Feed for it so you are ‘tipped’ every day! 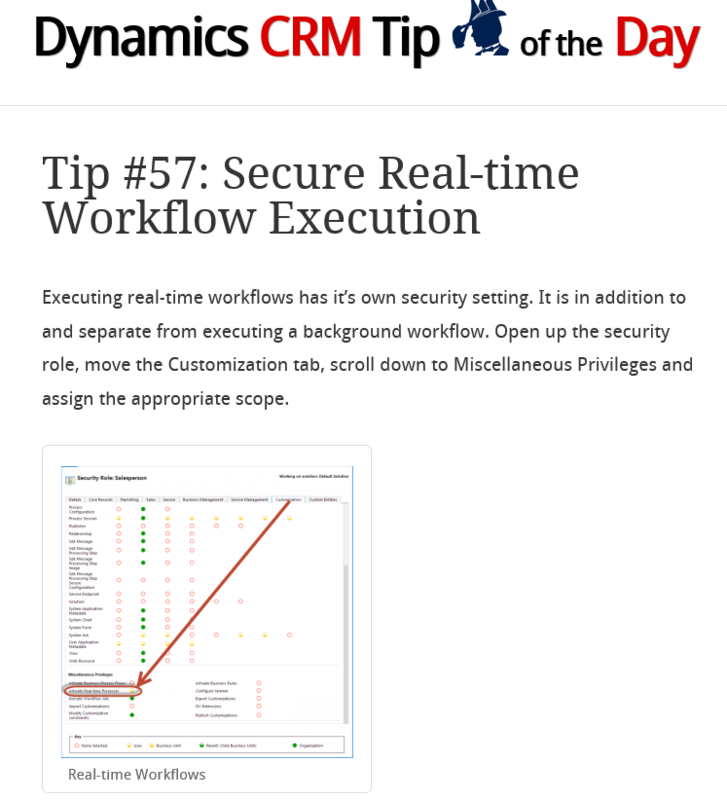 My first tip is on Security settings and Real-time Workflows.